Lori Rader-Day’s debut novel, The Black Hour (2014), was an instant critical and commercial success. In addition to the starred-review hat trick (Publishers Weekly, Booklist, and Library Journal), The Black Hour garnered nominations for several prestigious awards, including the Mary Higgins Clark, the Anthony Award for Best First Novel, the Barry for Best Paperback Original, and the Left Coast Crime Rosebud Award for Best First Mystery. It won the Lovey Award for Best First Mystery at the Love Is Murder conference. Rader-Day’s second novel, LITTLE PRETTY THINGS (starred review from Booklist), tells the story of two former high school friends and track rivals, who have taken very different paths since their graduation. Maddy Bell, always a step faster on the track, is beautiful and rich. Juliet Townsend, forever second to her friend, cleans rooms in a forsaken motel. When they run into each other ten years later, bitter memories and lingering questions poison their reunion. Then the drama of their shared past comes rushing back to the present when Maddy is found murdered at the motel, and Juliet is the prime suspect. 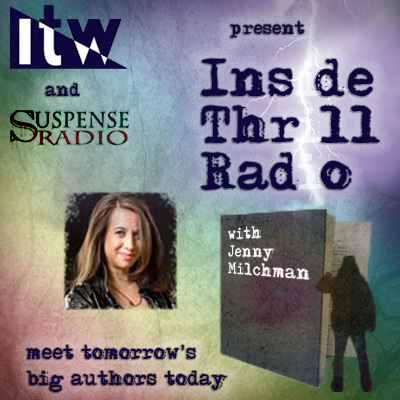 I had the pleasure of talking to Lori about her latest book. Your first book, The Black Hour, was a critical success. LITTLE PRETTY THINGS is your second novel. Are you approaching the publishing experience differently? Have your expectations changed this time around? I’ve had an embarrassment of riches in launching my first book, so I think my expectations are actually lower. What I learned this past year is that my favorite part of the business is the writing, so while I’m launching LITTLE PRETTY THINGS what I’m actually working on most ardently is writing my next project. I enjoy the whole process of publishing, but what I really like is the sound of the keys on my keyboard and coaxing forward an idea that brings the story together. 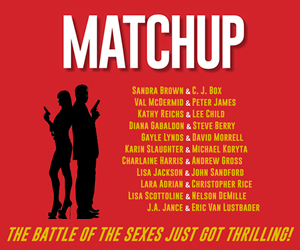 I’m really excited to have a second book, though, because what I want most is a long future of writing mysteries. Juliet Townsend is a fascinating character, a young woman who has fallen far short of her potential, yet who may still pull herself out of a dead-end future. Are self-reinvention and salvation themes you’d like to explore further in your books? It’s not just self-reinvention that I like to think and write about. It’s self-invention—how do we become the people we are, and what influences have made our lives the way they have turned out? What might have gone differently, if only for one decision? I like to think it’s a bit more Jeff Goldblum-explains-chaos-theory than a theme, but it has definitely crept into both my books so far. Now the word salvation, I’m not even going to touch. Let’s steer it toward forgiveness, forgiveness for wrongs committed and imagined, of one’s self and of others. In Juliet’s case, it’s about growing up long after she should have. Salvation? If anyone’s saving anyone in my books, it has to be because they learned to save themselves. The portrait you paint of the depressed town of Midway, Indiana, is persuasive. I could see the peeling paint, smell the lemon cleaner at the Mid-Night Inn, and taste the cheap beer at the bar without a name. How much of this place comes from your hometown? A great deal of the town is based on a couple of places near my hometown and also the town where I went to college and places I’ve visited elsewhere. 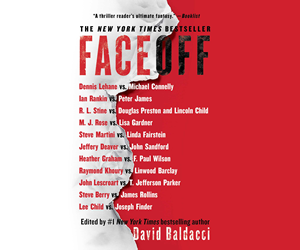 Small-town America doesn’t always mean peeling paint, but of course the story is told from the perspective of a narrator who should have left a long time ago and is stuck seven different ways there. She wouldn’t notice anything good about her town, would she? But I’m the one who did leave and here I am trying to write about these places. It’s much easier to see the good parts about a place if you’ve left it. What I see that Juliet can’t is that, by staying, she is able to take care of her mother, she still sees people she’s known a long time, and she lives in a place where murder is rare. I hope no one thinks I’m judging small towns. Big cities’ problems are well documented. I’m just writing the other story, the one that doesn’t get told as often. Juliet has a sharp wit. She’s funny in a cynical, almost defeated way. But she is funny. As I’ve observed before, you, Lori Rader-Day, are a wickedly clever and funny person, yet you write such serious novels. Is there any comedy in your future? I won’t be going on the stand-up circuit anytime soon, trust me. You call my books serious, and they do touch on serious topics, but Juliet (and Amelia, in The Black Hour) both have sharp wits. Probably isn’t an accident. They steal all my best lines. I think it’s important when you’re writing dark topics and characters with dark sides to give readers something to hold onto. When I’m reading, I don’t mind a difficult topic or difficult-to-like character if the voice of the story is confident and charming or if I get to laugh a little. I think humor in mysteries is underrated. I love finding witty lines or funny turns of phrase in the books I read. In both your books, there is a lot of speculation and gossip about the victims. In LITTLE PRETTY THINGS, the speculation comes from colleagues, lovers, former classmates, relatives, and erstwhile best friends. Is this a pessimistic view of human nature on your part, or is it simply a narrative technique to inform the reader? I’m not sure it’s either—or maybe it’s both. 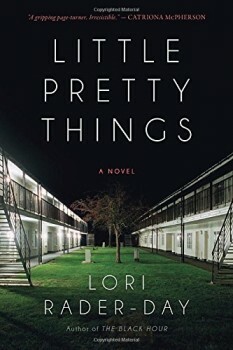 In both books, the setting for the crime and resolution is a small town—either literally, as in the case of Midway, Indiana, in LITTLE PRETTY THINGS, or essentially, in the case of Rothbert University’s insular campus in The Black Hour. And pessimistic or not, my experience is that people inside these communities can turn on one another or away from one another. These things happen to us and around us everyday, now. Consider the brave new world of a Twitter pile-on or an open comments thread on a sincere blog post on a controversial topic. It’s hard to live in this world and sometimes we make it worse for each other. When bad things happen, we look askance at one another pretty quickly. We might also rise to the occasion and put ourselves out there, vulnerable, for another human being. If you wanted to talk about on-going themes of my work, oh, look, there’s another one. Rivalry is one of the most salient themes in LITTLE PRETTY THINGS. You write about it convincingly. I’ve read your books and know that you’re an exceptionally talented writer, but are you a competitive person? Shamefully, yes. Writing and publishing, though, is a terrible place to be a competitive person. If you play that game in publishing, you’re always going to lose. Someone is always selling more books, writing better sentences, winning more awards. But I try to keep that on a leash. In the mystery community, there are so many voracious readers, and all readers care about are having more great stories. All you can do is write the books you want to read and write them as well as you can. The only way to be a competitive person in publishing is probably to use what could be envy for fuel to do better work and a whole lot of it. I’ve met you at conferences on several occasions and have enjoyed listening to you speak on panels. We’ve also shared drinks and coffee at the bar/restaurant. There’s a strong social/networking side to those professional gatherings. Do you have any advice to aspiring writers on how to get the most out of a conference? 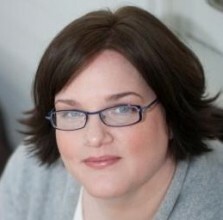 Lori Rader-Day (Chicago, IL) is the author of THE BLACK HOUR. She has also published fiction in Good Housekeeping, where she won first place in the magazine’s first short-story contest; The Madison Review, which awarded her the 2008 Chris O’Malley Prize in Fiction; TimeOut Chicago; Southern Indiana Review; Crab Orchard Review; and other journals and magazines. She lives in Chicago, where she is active in the Mystery Writers of America Midwest Chapter, Sisters in Crime Chicagoland Chapter, and International Thriller Writers. In addition, she is an instructor for Story Studio Chicago, where she teaches mystery writing. To learn more about Lori, please visit her website.